The Revolution's Last Men: The Soldiers Behind the Photographs - Paoli Battlefield Preservation Fund Inc.
Did you know that 6 Revolutionary War veterans were photographed in 1863 to help bolster the Union spirit during the Civil War? The biographies of these soldiers were never properly vetted due to the interviewer’s patriotic agenda and the faded memories of the soldiers themselves. Through long research by noted author and historian Don Hagist, the stories of these men come to life and show the inaccuracies and their first published stories, but shows that these men did serve in the war that gain us our independence. Join us on Monday, January 9th as Don Hagist comes all the way from Providence, Rhode Island to talk about his book “The Revolution’s Last Men: The Soldiers Behind the Photographs. During the Civil War that threatened to tear the United States apart came the realization that only a handful of veterans of the American Revolution still survived—men who had fought the war that created the nation. Our lectures have proved to be very popular and we strongly recommend that you book your seat now. The all inclusive admission price is $49 per person which includes the 18th century American Fare Buffet, all soft beverages and coffee, family style sweets during the question and answer session, all tax and gratuities, the lecture, and a donation to help support the Paoli Battlefield Historical Park. Your admission also includes a raffle ticket for a chance to win a night’s stay at the General Warren Inne. There will be one winner drawn at each lecture. Six of these men were photographed and interviewed for a book by Reverend E. B. Hillard that appeared late in 1864. Their images have captivated generations since then; but—through a combination of faded memories and the interviewer’s patriotic agenda—the biographies accompanying these amazing photographs were garbled and distorted, containing information that ranged from inaccurate to implausible. Now for the first time the military careers of these men have been researched in detail using a wide range of primary sources. The result is a new perspective on the actual service of these soldiers, from enlistment to discharge, along with new details of their relatively quiet postwar lives. The Revolution’s Last Men presents the original biographical interviews published in 1864, pension depositions and other first-hand accounts given by each man later in life, and an up-to-date biography examining each soldier’s service and discussing the inaccuracies and uncertainties of the previously published accounts. To complement the photographs taken in 1864, original drawings depict the men as they may have appeared when they were soldiers, using current research on military artifacts and material culture. 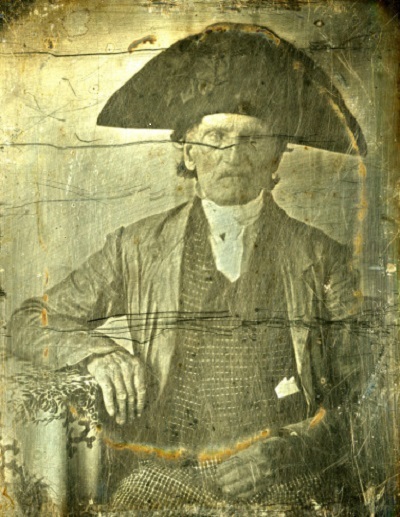 Also included are additional photographs of some of the men that were not part of the 1864 collection but taken when their status as the last known survivors of the American Revolution made them celebrities. While the photographs of these aged veterans continue to inspire, this book puts their service into perspective and allows these men to be appreciated for who they really were and for their great and unique service to their country. Don N. Hagist is an avid historical researcher and has spent much of his life studying and researching the history of the American Revolution, focusing on the British soldiers who served in America during that war. Besides several books, he has published numerous articles on the subject. He gives lectures in America and Great Britain, and is available for speaking engagements. Don is an engineering consultant, and also writes humor material for cartoonists whose work appears in national magazines and newspapers. He lives in Providence, Rhode Island. How can we purchase his book? He will have a book signing after his lecture where you can purchase any of Don’s Books. We do accept cash, check, or credit card.